Finland’s black metal credentials hardly need reiterating and Sargeist have been right at the forefront of the fiery lead since the entity released its first full-length record Satanic Black Devotion in 2003. It maintains the Sargeist jewel of the crown but each record has been a pulverising piece of orthodox black metal and album number four, Feeding the Crawling Shadows, the first album since 2010’s Let the Devil In is no different. While black metal continues to diversify and bloom into different shapes and forms, there is still a strong current of bands towing that orthodox and conventional line of black metal and doing it very well. Finnish greats like Behexen and Sargeist have done so very much in the face of BM’s ever changing presence even if the last Behexen record wasn’t quite up to the same standard as earlier material. Sargeist’s new offering doesn’t suffer the same fate and can take a comfortable place next to the band’s very best material. Feeding the Crawling Shadows follows a predictable path in many regards, opening with a creeping atmospheric intro that gives way to an onslaught of familiar buzzsaw riffing, caustic vocals from the bottomless pits and of course an overwhelmingly dark and unsettling atmosphere throughout the whole the record. If it ain’t broke, right? 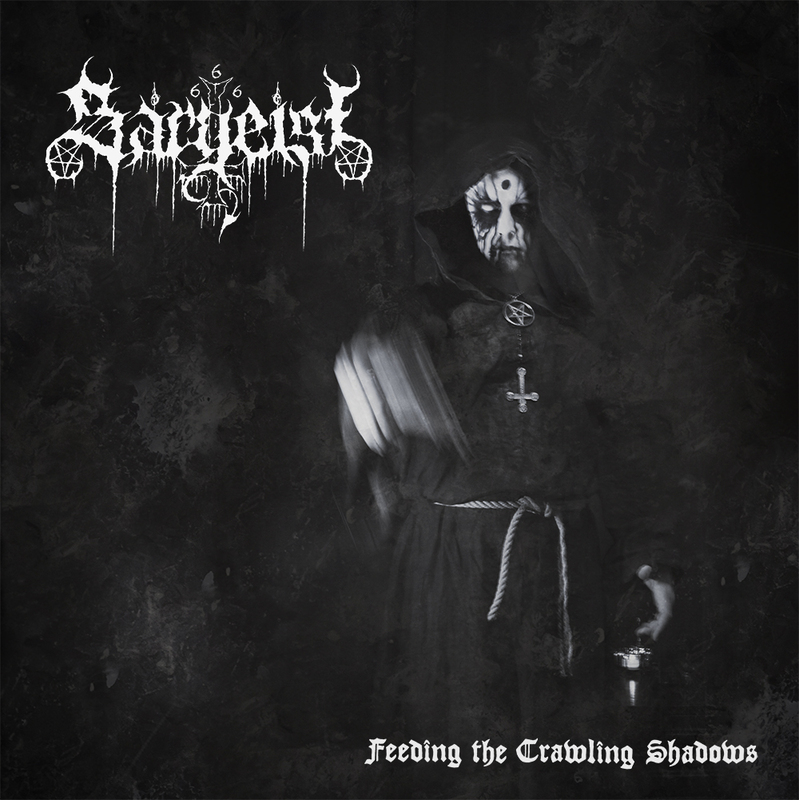 In many regards, Feeding the Crawling Shadows preaches to the converted but the musicianship and songwriting expertise that Sargeist have displayed here means it’s negligible. Sargeist are a band focused on penning great riffs and this album has them in spades, so it’s mission accomplished. ‘Unto The Undead Temple’ shows us that Sargeist can deviate from textbook blasting, first opening with a catchy galloping drum beat that begins to swerve relentlessly through the scything guitars. Of course, it isn’t long before they revert back to blast-driven verses but the band displays notable skill in meandering through different tempos that keep the record interesting, something that can often be lost on BM bands of this ilk. The album’s closer ‘Funerary Descent’ is perhaps the album’s fiery centrepiece amongst its solid peers, with Sargeist riffs in excelsis. There’s even a sense of bombast to it with its relentless flurry of offensive guitars and Hoath Torog’s glorious clarion calls to all things black metal but the sleek lead guitar work that complements this onslaught is what truly makes this show all the more captivating and it’s a fittingly “epic” close. Feeding the Crawling Shadows is unlikely to win over new fans for Sargeist as perhaps the only main criticism that could be levelled against it is that, as mentioned, it preaches to the converted and never strays to far from the beaten (and frost-bitten) path. Nevertheless, a triumph for the Finns. Tags: black metal, Feeding the Crawling Shadows, Sargeist. Bookmark the permalink.